One (1) DUI and/or Drug Charges Lawyers service. 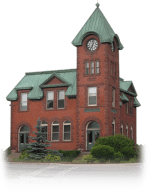 The information below will help you on how to find a drug rehab centre in Hampton, New Brunswick. The list could be incomplete, so if you have any questions, please don't hesitate to contact us at 1-877-254-3348.